Demographics: The population of South County is 176,647, with the total population of Rhode Island at 1,076,164. South County measures a total of 449 square miles with a total of 20 protected beaches, 26 forests and wildlife preserves throughout our region, as well as 16 public golf courses. Accessibility: Conveniently nestled about 30 minutes outside of Providence by car, South County is the epitome of a classic New England getaway. South County is 80 miles south of Boston (roughly an hour and a half car ride) and 160 miles from New York City (about three and a half hours by car). South County has a stop on Amtrak’s Northeast Corridor route in Kingston, RI. Our state airport, T.F. Green, is 30 minutes north of South County and services more than 27 different markets across the country. Meeting Space and Hotels: South County’s expansive layout offers something for everyone. Compiled of 11 towns, we boast 2,000 rental rooms available regionally and convenient meeting and business space as needed. 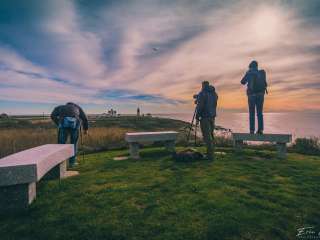 Attractions: Not only does this dedication to conservation ensure visitors mile after mile of pristine coastline, it also preserves some of the most unspoiled nature walks in America. 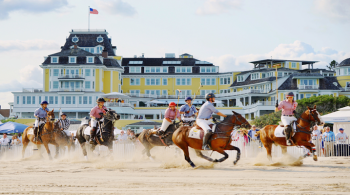 We are a microcosm of all of New England, with wilderness beaches and dunes, historic charm and sylvan retreats. It is a place for enjoying the tangy salt air on crisp autumn days; for cross-country skiing or hiking after a winter snow; or for just unwinding while watching the waves roll in from the porch of a seaside bed-and-breakfast. Enjoy historic downtowns; colonial architecture and breathtaking nature teamed up to create an ideal get away. With 17 museums, 20 state beaches with 100 acres of coastline, your visit to South County is a sensory experience not to be missed! Dining: With the boating and fishing communities in our backyard, South County rivals to be one of the best dining locales for fresh daily seafood in New England. Our fish and shellfish are often coupled with farm fresh offerings from any of our neighboring farms all presented in inviting settings making you feel like a local. From pizza to ethnic offerings, fine dining to a sports pub, South County is a dining destination for any taste bud. Shopping: From boutique shopping in East Greenwich to antiquing on Main Street in Wakefield, South County showcases a diverse shopping experience. Cruising Route 1 will afford you the opportunity to hit a variety of towns which offer a cozy and intimate shopping experience. Historic Wickford and downtown Westerly are not to be missed with their cultural, dining and gifting opportunities! Garden City Outdoor Shopping Center can be found about 25 minutes north by car, as well as Providence Place Mall, roughly 40 minutes north by car.